The Flexible Skiff E-Reader - Can It Be The Kindle Killer? The Flexible Skiff E-Reader – Can It Be The Kindle Killer? What’s one thing the Amazon Kindle and the Barnes and Noble Nook can’t do? FLEX! 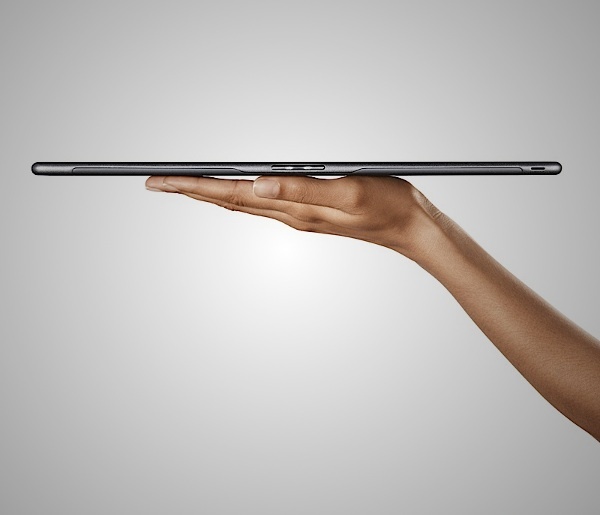 Oh wait, there’s another thing they can’t do – a touchscreen e-ink display. These are two attributes that just might give the Skiff a huge competitive advantage in the e-reader market place. 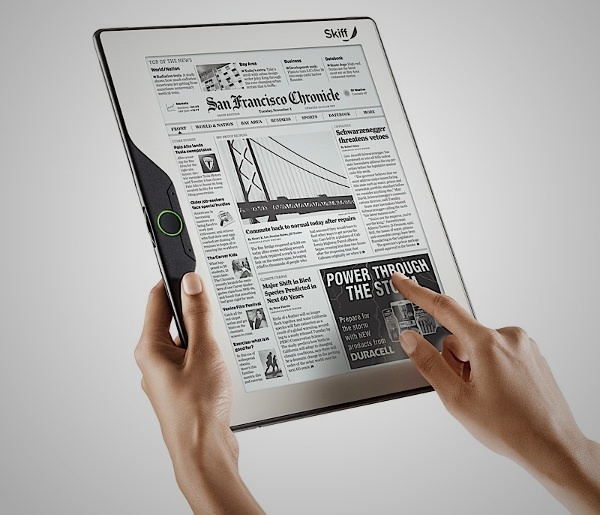 The Skiff is an e-reader prototype that is not yet on the market, but is expected to be available this year (2010). 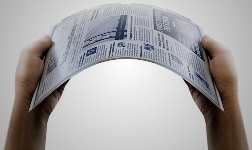 It is thin, only one quarter of an inch thick – and it bends and flexes due to it’s “silicon thin-film-transistors on a flexible steel substrate”. The “silicon thin-film-transistors” technology is a bit more esoteric. In short, the technology used in the Skiff Reader makes it flexible– meaning it can bend and warp on a whim, giving it a more durable and rugged build in contrast to those crackable Kindles. The Skiff uses a metal foil design that merges with the thin film transistors to fit into a low-profile shape, in this case just a quarter-inch in thickness.